The Town of Parker is a beautiful community located in Douglas County. The town is considered a Home Rule Municipality and the second most populous town in the county, which incorporated in 1981. This commuter town at the southeastern most corner of the Denver Metro Area has a population of 47,169 on approximately 14.6 square miles of land. The town is known for its excellent education system. Douglas County School district RE-1 has scored among the highest in the state. Their students have consistently excelled for almost a decade. 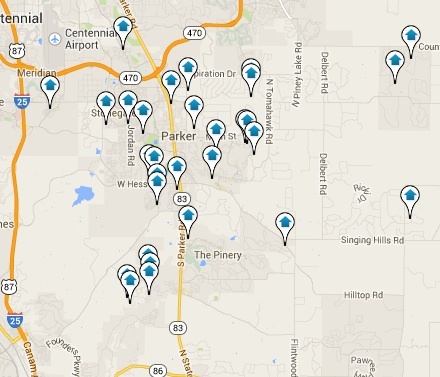 There are public and private educational facilities in Parker. The town has relatively new homes in relationship to the rest of the county. The average year of a home built in Parker is 1997. Approximately 47.7% of the homes built in the town were constructed between 1980 -1999. Also, 43.5% were built between 2000 and present day. The local real estate market in Parker should continue to move up in small increments (0.9%) during the next 12 months according to industry analysts. The area continues to grow in home value and potential buyers are taking a close look at their options. There is great opportunity here since 10.3% the homes are sold below listing. Parker’s home values are extremely attractive to buyers right now. The current median value is $309,900. Prices have gone up 4.9% percent over the previous 12 months. There is plenty of opportunity to get into a great home in Parker.